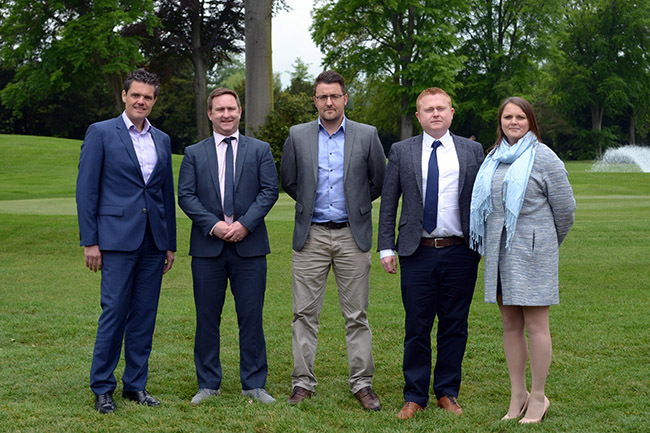 QHotels, the UK’s largest golf resort operator, has signed an exciting new deal with a specialist golf tech marketing operation to deliver a range of advanced features to its golf venues across England and Scotland. The four-star, resort-style provider has partnered with Whole in One Golf to deliver a new suite of added experiences, which include retro-fitted GPS systems to buggies, hole-by-hole 3D flyovers, new smartphone apps and new content management systems. Whole in One Golf’s unique model enables the Leeds-based golfing specialists to provide the new hardware and software free of charge to courses by attracting new sponsorship and advertising revenue streams through the newly-installed on-course devices and clubhouse TV screens. John Angus, QHotels’ group director of golf, said: “The team at Whole in One Golf provided such a compelling case that it was a simple decision for us to agree a deal for ten of our Q Hotel golf resorts across the UK. Dan Weir, director at Whole in One Golf, said: “We’re thrilled to have developed this partnership with the QHotels group. Golfers, regardless of whether they’re members or visitors, are a discerning breed who demand the very best technological developments from the courses they play. “Our operation not only helps golf courses achieve that, but opens them up to new corporate and funding streams. It’s a simple, no cost opportunity for any course looking to improve their appeal in what is becoming an increasingly competitive golf market. QHotels runs 26 hotels across the UK including 10 golf resorts. The hotel group is the UK’s largest golf resort operator and features the likes of Forest Pines Hotel & Golf Resort in north Lincolnshire, Oulton Hall near Leeds and Slaley Hall in Hexham, pictured above, Northumberland in its impressive portfolio of tournament and championship-standard venues. Whole in One Golf has been operating for almost six years and, in that time, has installed its unique packages to more than 210 golf courses across the UK. It has recently agreed an extended new deal with Matchroom Sports to provide its 3D flyover tech to the media giant’s Sky Sports coverage of the upcoming EuroPro Tour.